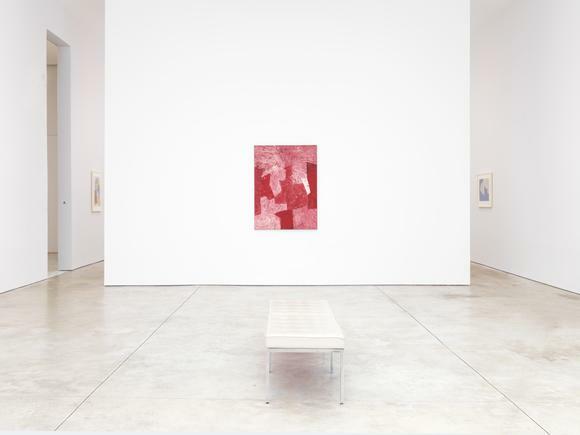 Cheim & Read gallery is pleased to present a survey of paintings by one of the foremost post-war European abstractionists, the Russian-born Serge Poliakoff (1900–1969). At a moment when the accepted canon of abstract painting is in radical revision, an encounter with the work of Poliakoff is the best kind of rediscovery: it disrupts our sense of continuity as it restores it. A product of the Russian diaspora that followed the Bolshevik Revolution, Poliakoff fled to the West, educating himself in the art schools and museums of London and Paris. He painted every day while raising a family, supporting this life by playing Russian folk songs on guitar in Parisian nightclubs late into the night. This hectic existence lasted well into his forties, when twenty years of foundational pictorial research finally came to fruition in a distinctive synthesis of painterly sensuality and ideational planarity. Professional recognition increased his productivity and ambition resulting in a further twenty years (the remainder of his life) of paintings, gouaches, prints and related decorative projects that many consider the high-water mark of the “Nouvelle Ecole de Paris”. The essay title “Real Presences” evokes Poliakoff’s ability to speak to the present through painting as a materially actual metaphor. He addresses the act of making a painting by creating palpable two-dimensional forms made from built-up transparencies of color that speak directly to the presence of the viewer. Poliakoff situates this exchange through interlocking planes of physically seductive surfaces that seem to approach third dimensionality. Long admired by painters of all stripes, this exhibition, the first in the US in several generations, will provide the first sustained view of this profoundly contained, quietly voluptuous work.